Television can be a powerful teacher. Watching Sesame Street is an example of how toddlers can learn valuable lessons about racial harmony, cooperation, kindness, simple arithmetic and the alphabet through an educational television format. Some public television programs stimulate visits to the zoo, libraries, bookstores, museums and other active recreational settings, and educational videos can certainly serve as powerful prosocial teaching devices. The educational value of Sesame Street, has been shown to improve the reading and learning skills of its viewers. In some disadvantaged settings, healthy television habits may actually be a beneficial teaching tool. 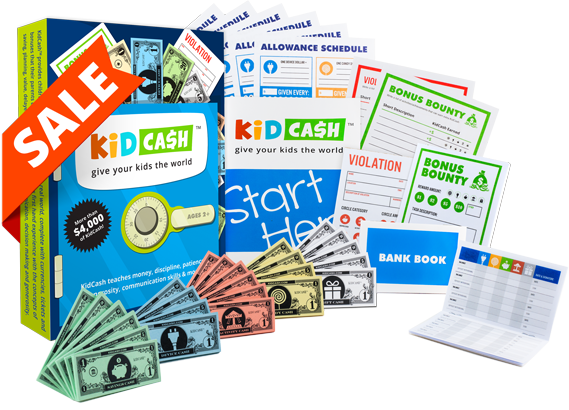 KidCash has put together over a hundred videos that try and teach your children why healthy habits are important including sleep, eating, hygiene and more. Beyond this, there are millions more that can be found within a few key taps. If you make it a habit to show them three videos a week, even that could greatly impact their future going forward. Take this wonderful video for example from India which shows the strength and empowerment of women. I like to show this to my daughter and ask her if she wants to be strong and fast like these women. Your children trust you and look to you for guidance. Exciting visual media can be like a power boost to get their attention, hit their mind with visual, auditory and emotional memories to keep, and back up your positive messages in a way that gives you social proof and validation. We hope this gives you some ideas of your own. As always, happy parenting!